The Premise is Simple. The Strategy is Schadenfreude. As the “guesser”, you must guess whether the next number card is higher or lower while using the cards in your hand to either help yourself or hurt your opponents. But watch out! Your opponents can also play cards and steal cards to change your odds. The round starts with four face down cards. You win by being the player to correctly guess the last remaining card. Here's the tricky part: only one player can be the guesser and each time there is an incorrect guess the guesser rotates one spot to the left! 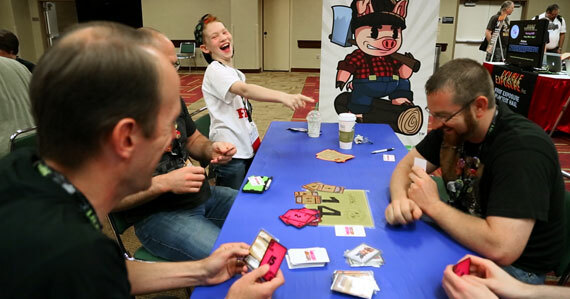 In Hogger Logger, you must know when to swine-and-dine your opponents and when to cut them down. Make your guess, knock on wood, and go hog wild in this exciting game of highs and lows. Learn how to play Hogger Logger in less than 5 minutes. 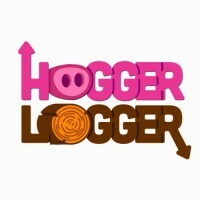 Add a Review for "Hogger Logger"